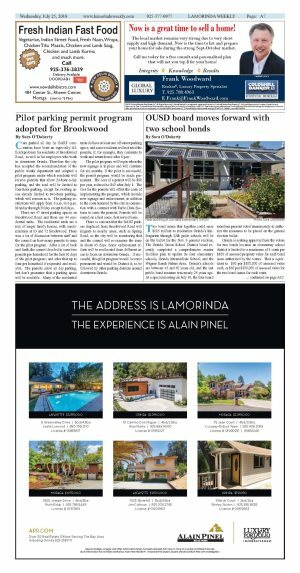 Two bond issues that together could raise $105 million to modernize Orinda's kindergarten through 12th grade schools will be on the ballot for the Nov. 6 general election. 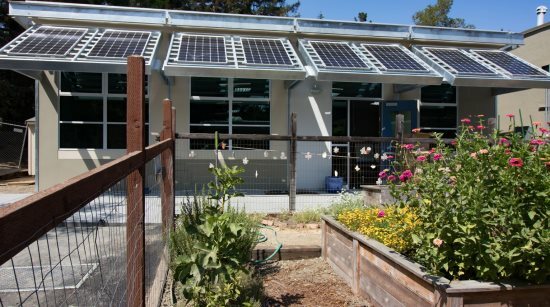 The Orinda Union School District board recently completed a comprehensive master facilities plan to update its four elementary schools, Orinda Intermediate School, and the Wagner Ranch Nature Area. Orinda's schools are between 45 and 60 years old, and the last public bond measure was nearly 25 years ago. At a special meeting on July 19, the four board members present voted unanimously to authorize the measures to be placed on the general election ballot. Orinda is seeking approval from the voters for two bonds because an elementary school district is limited to a maximum of 3 cents per $100 of assessed property value for each bond issue authorized by the voters. That is equivalent to $30 per $100,000 of assessed value each, or $60 per $100,000 of assessed value for the two bond issues for each voter. Stuart House, OUSD Director of Facilities, Operations and Maintenance, but speaking as a private citizen who resides in Orinda, explained this at the meeting. "My house is valued at about $2 million," he said, "with an assessed value of about $1.2 million." He calculates that adding $60 per $100,000 of assessed value will increase his annual tax bill by $720. "This doesn't seem like a big ask," he said. "It's not going to break the bank." Assessed values differ based upon the market value of the home at the time it was purchased, with older homes having lower assessed values and more recently purchase homes having higher assessed values. According to attorney David Casnocha, bond counsel for the school district, the bonds will be issued in a three-part series two years apart for each issue. Bonds usually have a 25-year term. Therefore, according to Casnocha, the period of the tax will likely be 31 years, ending 25 from the date the last bond series is sold. The two ballot measures show slightly different annual obligations because one bond measure is $5 million greater than the other and they differ slightly, with one focusing more on facilities updates to improve academic excellence and STEAM (science, technology, engineering, arts and math) programs, the other focusing more on insuring the safety of and repair of the buildings. One major goal of the plan is to install air conditioning in the schools. The primary objectives of the bonds is to fund the facilities master plan, which is designed to update STEAM classrooms, provide laboratories in each school, maintain libraries, upgrade technology infrastructure, and acquire, construct and/or repair classroom facilities, sites and equipment. The bonds will also fund safety measures, such as electrical updates, fire safety, security lighting, communications and camera systems, and classroom locks. According to the district, Orinda schools have fallen behind neighboring areas such as Lafayette, Moraga and Walnut Creek, and updates are needed to insure high-quality instruction in core academic subjects such as science, technology, engineering, math, reading and writing to help prepare students to compete in high school, college and 21st-century careers. Without air conditioning, schools could be forced to close when temperatures are too high. The bond elections are governed by constitutional and statutory provisions that require that two-thirds of the school board must approve the measures being placed on the ballot and 55 percent of the voters must approve the measures before they can take effect. In addition, the laws provide accountability requirements, including annual independent financial and performance audits of how funds are spent, and the formation of a Citizens' Bond Oversight Committee. To view the comprehensive master plan, visit http://lpamasterplans.com/orinda-usd-fmp/.